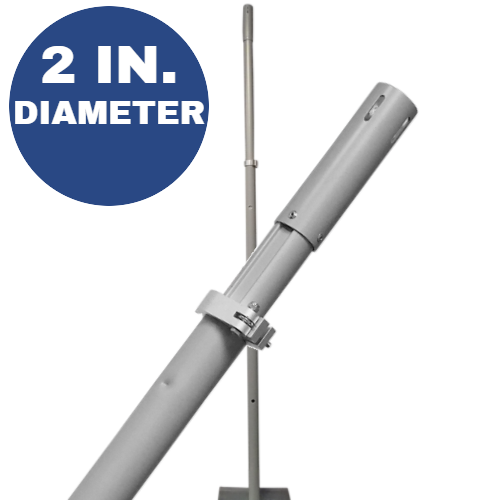 Adjustable to any height between 8 feet tall and 14 feet tall (96 inches to 168 inches). 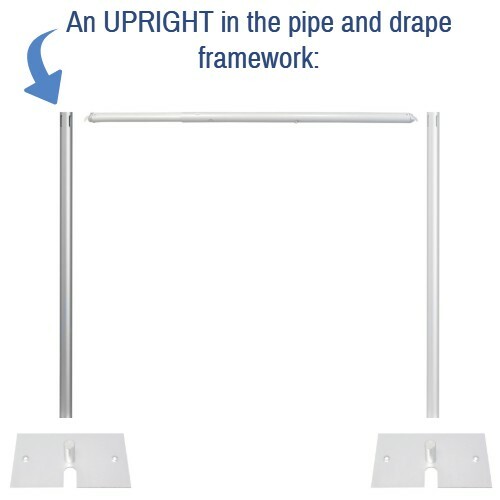 Button stop allows the height to quickly be set at any foot interval (9 feet, 10 feet, 11 feet, 12 feet, 13 feet, and 14 feet tall). Locking Clamp lets you set an "in between" height that isn't at an even foot interval (for example, 13 feet 5 inches tall).